The world of Lemuria looks stunning, from the fluid character animations to the vivid details throughout each stage. Over the past few years, Ubisoft's Ubi Art studio produced gorgeous 2-D games, namely 2011's Rayman Origins and its grand 2013 follow-up, Rayman Legends. 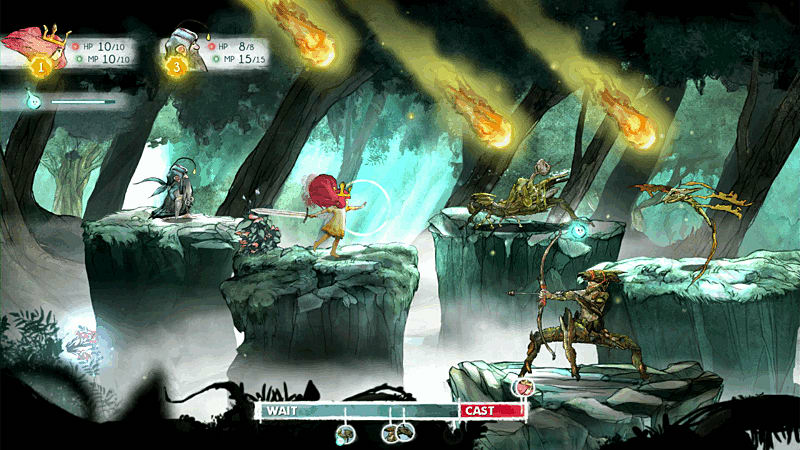 For its latest project, Child of Light, the developers took an entirely new direction, creating a fantasy world and surrounding it with role-playing elements that work better than most games in the genre. The story revolves around Aurora, a young girl thrust from her world into the dark land of Lemuria. Here, she discovers that she is the chosen one who can bring light back to this land  though the task is far from easy. She'll need to face ferocious monsters and make alliances with quirky characters to restore this crippled world. One thing players will notice right away is the excellent presentation. The world of Lemuria looks stunning, from the fluid character animations to the vivid details throughout each stage. Everything in the game features hand-drawn art, making backgrounds stand out. The characters also provide a defining touch, from the unlikely heroes lending Aurora a hand in battle to the vile creatures you fight against. Better still, the game stays in its 2D perspective throughout, keeping things simple while adding plenty of depth that, again, most role-playing games lack. Best of all, the soundtrack is nothing short of amazing. The tempo of the music stays true to the game's theme, whether you explore smaller cities or fight your way through large, perilous caves while a thunderous score plays in the background. It's as magical as the visuals, wrapping the presentation together into a striking package. Most role-playing games fall into a rut due to one crucial error  forcing players to grind their way through battles to earn crucial items. 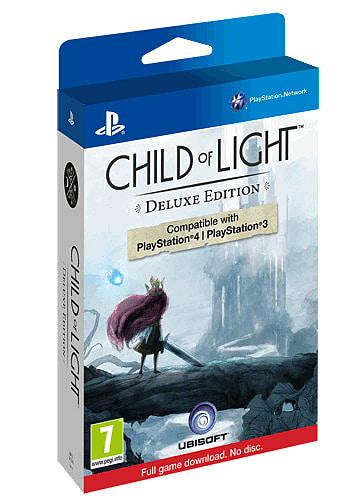 That isn't the case with Child of Light, as it rewards you at nearly every turn. As Aurora and her companions level up over the course of each encounter, they'll unlock new capabilities that expand their attack wheels, adding new techniques useful against larger foes. For good measure, players can also call upon Aurora's spiritual friend, who regenerates lost energy that quickly refills from brushing along flowers scattered throughout each stage. This is a fair tactic to manage, as it continues to give you a fighting chance to progress. In addition, the smart timing system makes battles enjoyable. You'll see a meter on the bottom of the screen that measures whose turn it is to attack. You can use this to your advantage and throw off adversaries with interruptive strikes. By doing this, they'll be too dazed to respond, and you can continue to pound away. Ubi Art's Rayman games are known for having multiplayer, as up to four players take part in the on-screen mayhem. Child of Light doesn't work that way, mainly due to the structure of its gameplay, but it still has an interesting multiplayer perk for those who want to take advantage. In two-player co-op, the main player takes control of Aurora, while the second one handles the blue spirit that provides her with energy, collects orbs and temporarily distracts enemies that could harm her. While not nearly as in-depth as other co-op based experiences, this is well worth a try, especially if you want to play along with a loved one. If anything gets in the way of Child of Light, it's the somewhat cryptic dialogue. The developers wrote the entire game in rhymes, and while some are quite clever, characters often say distracting things that make puzzles difficult to solve. That's not to say it doesn't have its charm, but the Ubi Art team should've provided a hint system to help players in case they get stuck on a particular puzzle. Eventually, a solution can be found  mainly with the blue spirit and something in the environment  but it can take time. 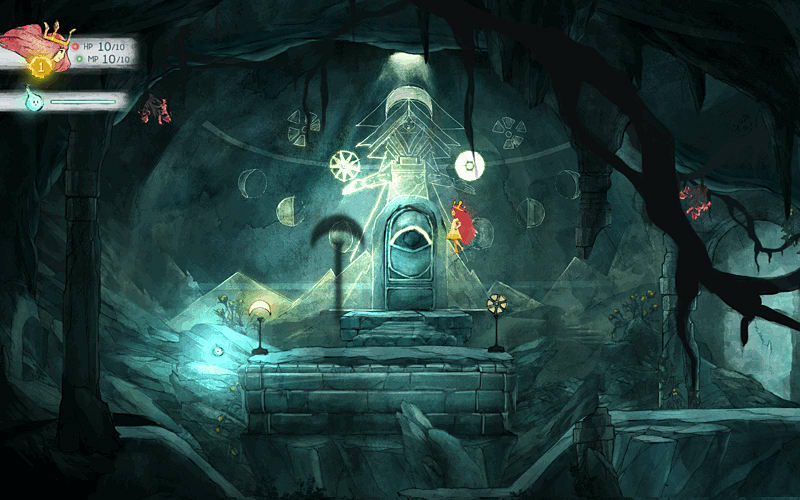 Despite the verbal stumble, Child of Light is easily one of 2014's most engaging role-playing adventures. It delights players with fresh and rewarding combat. In addition, the presentation is easily the best to come out of the Ubi Art studios, with compelling visuals and a moving musical score. Highly recommended.